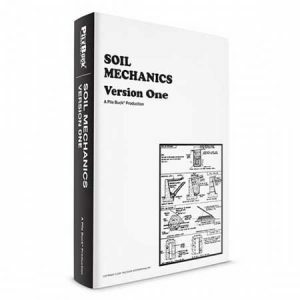 Chapter 1, Foundation Investigations, of this Manual explained how Geotechnical Services performs a foundation investigation for all new structures, widenings, strengthening, or seismic retrofits. Under normal circumstances, the Geoprofessional assigned to perform the investigation is able to gather enough information to recommend a pile type and tip elevation that is capable of supporting the required loads on the recommended pile foundation. However, there are situations where subsurface strata are variable, unproven, or of such poor quality that additional information is needed in order to make solid pile foundation recommendations. In these situations, Static Pile Load Testing and/or Pile Dynamic Analysis (PDA) will be recommended. Information obtained from the testing and/or PDA will be used to verify design assumptions or modify foundation recommendations. Personnel from Geotechnical Services, Foundation Testing Branch, perform Static Load Testing and PDA on Caltrans projects. Once the testing is completed, written reports summarizing the findings are transmitted to the Engineer. Ideally, these tests would be performed in the Design Phase; however, they are often done in the Construction Phase. Static Load Tests measure the response of a pile under an applied load and are the most accurate method for determining pile capacities. They can determine the ultimate failure load of a foundation pile and determine its capacity to support the load without excessive or continuous displacement. The purpose of such tests is to verify that the load capacity in the constructed pile is greater than the nominal resistance (Compression, Tension, Lateral, etc.) used in the design. The best results occur when pile load tests are performed in conjunction with Pile Dynamic Analysis (PDA). The tests give the Geoprofessional information needed to allow the use of a more “rational” foundation design. Static load tests may be recommended when piles are installed in soils with variable geologies or poor quality soils and can be used to validate design assumptions or to provide sufficient information to modify the design tip elevations. They are often recommended for Cast-In-Drilled-Hole (CIDH) piles installed in unproven ground formations as there is no other means to determine capacity. 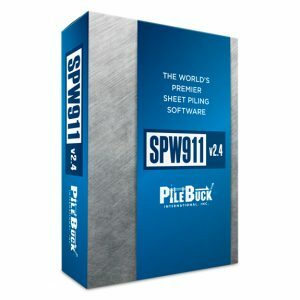 They provide more accurate information than can be obtained from pile driving formulas and may demonstrate that driven piles can be safely loaded beyond the capacities obtained from these formulas. When there is a potential for large cost savings. Typically on large projects with similar strata and pile types. When the safe loading condition is in doubt, due to limitations of an Engineer’s experience base, or unusual site or project conditions. When soil or rock conditions vary considerably from one portion of a project to another. When the design load is significantly higher than typical design loads. To determine the length of precast friction piles to avoid splices. 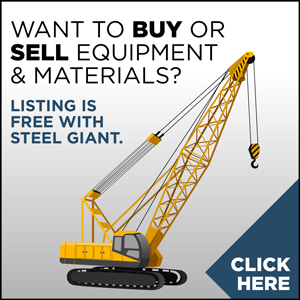 When new or unproven pile types or installation methods are to be used. When existing piles will be used to support a new structure with heavier loads. To obtain a reliable value for tensile and lateral pile resistance. When, during construction, the load carrying capacity of the pile differs. significantly from what was predicted from pile driving formulas and PDA. In lieu of doing a static load test, PDA can be used to establish criteria for pile acceptance and to verify design assumptions. It can determine soil resistance, hammer efficiency/performance, and stresses in the pile during driving. Caltrans practice is to use PDA to establish pile acceptance criteria for non-standard driven piles up to 36 inch diameter. PDA in combination with static pile load testing is used to establish pile acceptance criteria for driven piles larger than 36-inch diameter. Refer to Bridge Construction Memo 130-4.0, Pile Driving Acceptance Criteria. The information obtained from the PDA can also be used by other programs to determine the bearing capacity of the pile. Combining these results with those from the pile load test increases the accuracy when determining the bearing capacity. The static pile load test gives the most accurate indication of the capacity of the in-place pile. It is performed using a reaction method. The test procedure involves applying an axial load to the top of the test pile with one or more hydraulic jacks. The reaction force is transferred to the anchor piles that go into tension in the case of a static load test in compression; or into compression in the case of a static load test in tension. Various forms of instrumentation are installed onto the test and anchor piles so that an accurate measurement of the test pile displacement can be obtained. Redundant systems are used to ensure accuracy of the various measurements. 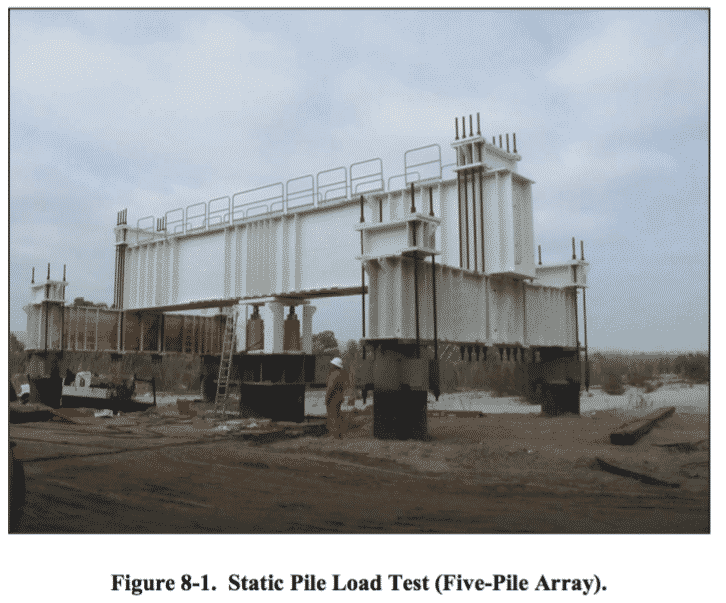 A five-pile test group (four anchor piles and one test pile) is used for all static load tests in compression and for most tension tests (Figure 8-1). Occasionally, a three-pile test group (two anchor piles and one test pile) is used for static load tests in tension (refer to Appendix F, Pile Dynamic Analysis, Static Pile Load Testing and Field Acceptance Criteria). Loads are applied in increments; typically equal to 5% of the design load. Each increment of load is held for a predetermined time interval. The test procedure is conducted in according with ASTM 1143, Procedure A: Quick Test. The pile capacity acceptance or failure criteria will be determined by the parameters established by the structure design and geotechnical engineer. The Static Pile Load Test causes a failure along the soil/pile interface. This failure generally occurs well before the ultimate structural capacity of the pile is reached. Once the test is complete, the pile is returned to a no-load condition and can be incorporated into the foundation of a structure. The only permanent effect of a pile load test on a driven pile is the downward displacement of the test pile. The same effect would be achieved if a pile hammer drove the pile the additional distance. The previous statement, while true for driven piles, may not be the case for Cast-in-Place piles, and rock sockets in particular, as these piles will not behave the same once the bond between the concrete and the soil has been broken. Once the pile load testing is completed, personnel from the Foundation Testing Branch compile and review the load test data. 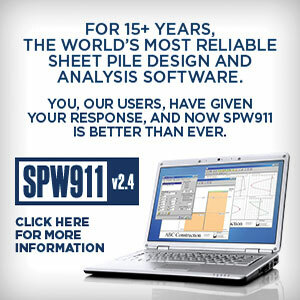 The test data is used to produce a plot of load versus pile displacement. The ultimate capacity of the test pile is determined using graphical or analytical procedures. A summary report is then forwarded to the Engineer, along with any recommended changes or modifications to the design. Static Pile Load Testing exceeds the standards stated in ASTM D1143, Procedure A: Quick Test, for static load testing in compression, and ASTM D3689 for static load testing in tension. Both the compression and tension load tests each take approximately 4 to 8 hours to complete. The dynamic analysis refers to the use of a device called the Pile Driving Analyzer. The Pile Driving Analyzer consists of a portable computer that collects and analyzes strains and accelerations measured by instrumentation attached to the pile being driven. The Pile Driving Analyzer operator inputs parameters related to the physical characteristics of the pile before the pile analysis begins. Data to describe the surrounding soil and its damping resistance is also entered. The Pile Driving Analyzer is capable of analyzing the stress wave produced along the length of the pile by each blow of the hammer during the driving operation. By analyzing the shape of the wave trace, the Pile Driving Analyzer is able to measure pile stresses generated during driving. During installation, damage to a pile can often be detected by the Pile Driving Analyzer. The data retrieved during the analysis can be used to determine the location or depth of a crack in a concrete pile and to the point of buckling in a steel pile. The Pile Driving Analyzer accurately measures the energy delivered to the pile during driving. This energy rating can be compared to the manufacturer’s rated value to provide an indication of the hammer’s actual performance efficiencies. 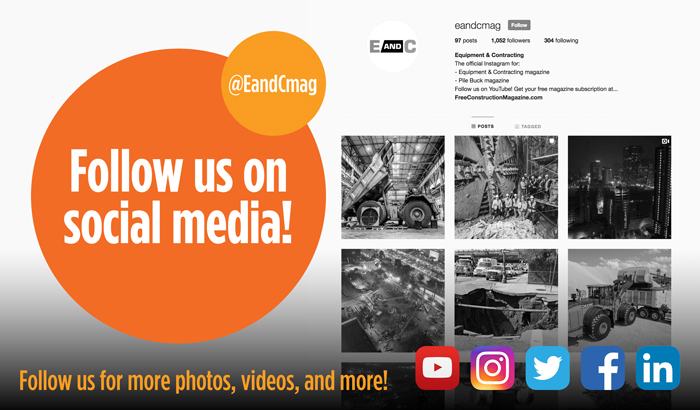 Low or unusual delivery of energy to the pile may indicate issues such as a pre-ignition problem within the hammer, inefficient hammer combustion, misalignment of the follower or helmet, or the use of an inappropriate pile hammer cushion. Pile Dynamic Analysis is believed to be reliable for piles driven in granular soils. For finer grained soils, such as silts and clays, this method may be less reliable because these soils offer significantly larger damping resistance to the piles during driving and may be difficult to model accurately. Information retrieved by the Pile Driving Analyzer is also used to predict a pile’s static load capacity. The dynamic analysis is performed on production piles as specified in the special provisions and on the test and/or anchor piles used for a Static Load Test if applicable. Piles monitored using the Pile Driving Analyzer are usually driven a predetermined distance above the specified tip before the analysis begins. At that time, the driving stops to allow personnel from the Foundation Testing Branch to attach the necessary instrumentation to the pile. The instrumentation is attached 1-1/2 to 2 pile diameters from the top of the pile. Once installed, the Contractor resumes driving the pile. The first few blows are done slowly to allow the Pile Driving Analyzer operator to ensure that the instrumentation is attached correctly and that the data is transmitted to the Pile Driving Analyzer computer. Driving then continues until the specified tip elevation is reached. In some soils, typically cohesive soils, the piles may increase in capacity or set-up over time. When this is anticipated, the tip of the pile is left approximately one foot above the specified tip elevation. After the set-up period has elapsed, the pile is ready for a re-drive. The timeframe for set- up is usually overnight but can be longer. Before the re-drive, Pile Driving Analyzer instrumentation is once again attached to the pile, and the last foot of the pile marked in increments of one tenth of a foot. The pile is hit for a few blows to make sure that the instrumentation is working properly. The pile is then driven for several inches or the remainder of the one-foot length. The capacity of the pile is determined from PDA or through pile driving equations. The new bearing capacity is compared to the one prior to set-up to determine the increase in capacity over that period of time. 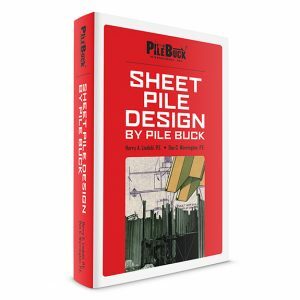 The concept of pile capacities increasing during a set-up period is discussed fully in Chapter 7, Driven Piles. Under normal circumstances, dynamic analysis is used in conjunction with static load testing to determine the adequacy of foundation piles. As with Static Load Testing, personnel from the Foundation Testing Branch are assigned the responsibility for performing PDA on Caltrans projects. Requests for PDA are submitted to the Foundation Testing Branch on the Pile Dynamic Analysis Test Request Form. A copy of this form is included in Appendix F, Pile Dynamic Analysis, Static Pile Load Testing and Field Acceptance Criteria, and is available for download. At the beginning of any project requiring Static Pile Load Testing and/or Pile Dynamic Analysis, the Engineer should do a thorough of review the contract plans, special provisions, Standard Specifications, and Bridge Construction Memo 130-2.0, Pile Load Tests, to make themselves aware of the contract requirements. It is the Engineer’s responsibility to coordinate the Static Pile Load Testing and Pile Dynamic Analysis with the Foundation Testing Branch. Early contact and good communication with them is important, as it will ensure that the process flows smoothly. The Contractor’s schedule for the installation of the piles should be obtained as early as possible. This schedule should then be forwarded to the Foundation Testing Branch. Details relating to the logistical needs of the testing work crew should also be discussed with the Foundation Testing Branch and the necessary information relayed to the Contractor. The contract specifications3 state the Contractor needs to perform extra work to assist in the set-up and performance of the Static Pile Load Testing. As such, a change order will need to be written to compensate for these expenses. This is not the case with dynamic analysis as it is paid under the contract item for piling or as indicated in the special provisions. The Contractor should be notified as early as possible of the specific equipment and personnel assistance required by the Foundation Testing Branch in order to complete the Static Pile Load Testing or PDA operations. In general, for a Static Pile Load Test, the Contractor will need to provide a crane and operator for the lifting and placement of the testing equipment from the Caltrans transport trailers on to the pile array, and for returning the equipment to the trailer once the testing is complete. The crane will need to be capable of lifting and placing the appropriate load test beam atop the pile test groups. Occasionally, a 54,000-pound or larger beam is used for load testing. The actual beam size to be used should be confirmed with the Foundation Testing Branch. The Foundation Testing Branch will supply all necessary rigging. 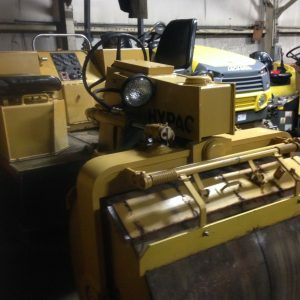 The Contractor will need to provide a welder, welding machine and cutting torches to assist in the installation of the testing equipment. Specific logistical needs and project-specific issues should be discussed with personnel from the Foundation Testing Branch to ensure that efficient coordination of the test set-up is accomplished. The contract specifications state no piles represented by a load test pile may be drilled, cast, cut to length, driven, nor any reinforcement cages fabricated until the required Static Load Testing is completed. In addition, the Engineer needs to ensure that the area of the Static Load Testing and/or PDA is dry and free of debris. A safe working area should be established around the test piles, and any of the Contractor’s operations that conflict with the work of the testing work crews should be suspended until the testing is complete. Static Pile Load Testing on concrete piles cannot begin until the concrete reaches a compressive strength of 2,000 Pounds per Square Inch (PSI), except for precast concrete piles, which cannot be driven until 14 days after casting. Additional cement or Type III (high early) cement may be used at the Contractor’s expense, but only for load test piles not incorporated into the work. 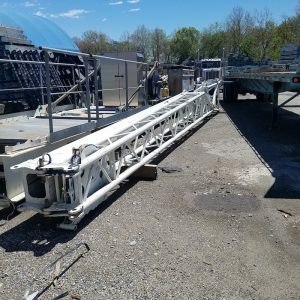 The contract specifications state the Engineer will not require more than 15 days to perform each static load test unless otherwise provided in the special provisions. This is important since Caltrans will be responsible for any additional costs or delays to the schedule should the testing take longer or should it not start on the day requested. As such, early and effective communication with the Foundation Testing Branch is essential. As with production piles, it is very important that the Engineer ensure that all piles to be used for Static Pile Load Testing and PDA are driven or constructed in accordance with the contract plans and contract specifications. The Engineer should discuss and confirm the load test pile array set-up with the Foundation Testing Branch well in advance of the work, even if the contract plans do adequately describe the test pile set-up. Test piles must be installed plumb and to the specified tip elevation shown on the contract plans. All the piles (anchor and test piles) in each test group need to be logged for the full length of driving. For drilled piles, a soil classification record should be kept for the full length of each. If any of the driven piles have a low bearing value at the specified tip elevation (less than 50% of required), then the Engineer should contact the Foundation Testing Branch, the Designer and Geoprofessional to see if a revision to the specified tip elevation is appropriate. 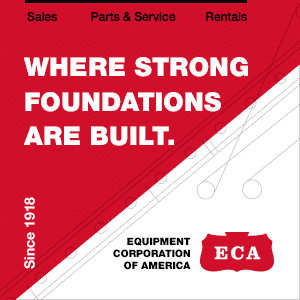 Changes to the specified tip elevation of test and/or anchor piles will necessitate a contract change order. Additional work on the anchor and test piles is required to facilitate the test apparatus. These details are included in the Standard Plans and may also be shown on the contract plans. If the details are inappropriate for the piles or are unclear, contact the Designer and/or the Foundation Testing Branch. The reactions in the load test are substantial and proper bearing is essential. Therefore the top of CIDH test piles must be level and troweled smooth to ensure full contact/bearing of the load test reaction beam. The contract plans or special provisions may require the anchor piles be constructed to tip elevations lower than the test pile, as an added precaution, to ensure that the piles don’t pull out during the test. This issue should be discussed with the Foundation Testing Branch. Any changes to the lengths of the piles from those shown on the contract plans will warrant a contract change order. If a construction project includes Pile Dynamic Analysis, the contract specifications4 state when the piles to be analyzed are to be made available for State personnel so that the necessary preparations for these piles can be made before they are driven. A technician from the Foundation Testing Branch will need access to the piles to prepare them for the attachment of the necessary instrumentation. The Engineer needs to ensure that the Contractor provides assistance to the technician as necessary to maneuver the piles. 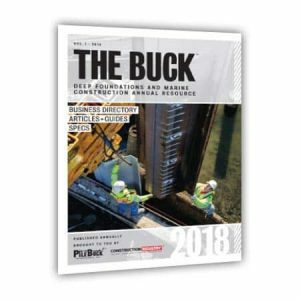 Once the load testing crew arrives on the jobsite, the Engineer will need to have copies of the pile driving logs, soil classification record (for CIDH piles), Log of Test Borings, and Foundation Plan available for their use. When the Static Pile Load Testing and/or Pile Dynamic Analysis is completed, the Foundation Testing Branch will provide a report that states whether the testing confirmed design assumptions or whether changes to the production piles will be necessary. These changes are normally made without the need for additional load tests. If an additional test is required, the Engineer should be sure to document any delays to the Contractor’s operations. If additional testing is required, Caltrans will be responsible for additional costs incurred by the Contractor. Substantial pile revisions (as a result of poor test results) could have a substantial impact on administrative aspects of the contract. 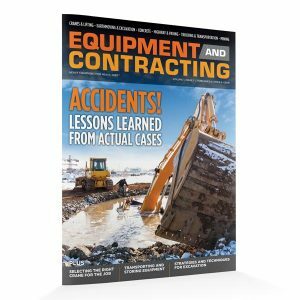 Changes could be such that item prices for pile work are no longer valid, and an item price adjustment may be necessary. Again, it is very important that the Engineer set up a good line of communication with the Foundation Testing Branch in the early stages of the project. 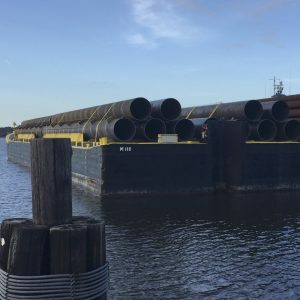 The goal should always be to have a clear understanding of what coordination needs to be done in order to properly install the test piles and set up the load testing equipment without significant delays to the project. Good coordination is also important as it allows the static load testing work crews to perform the tests efficiently and on schedule.